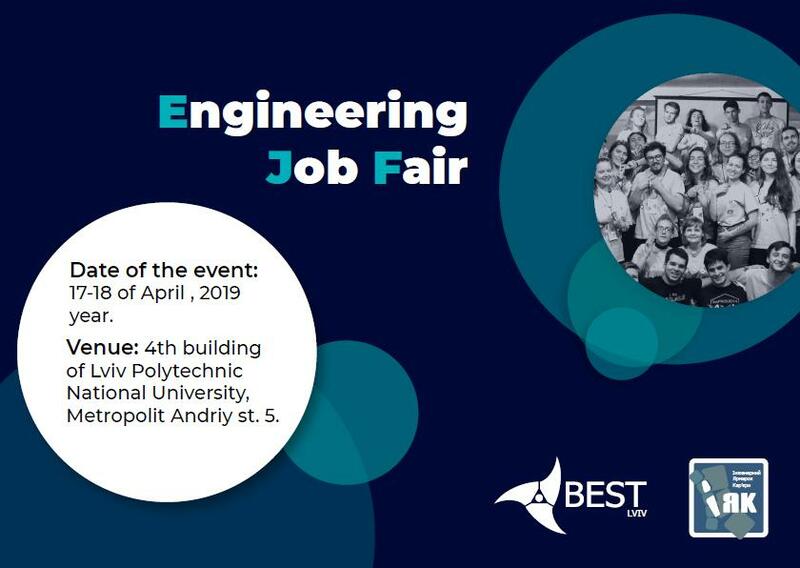 Engineering Job Fair is the largest job fair in Western Ukraine held annually for 12 consecutive years. Do not miss the opportunity to get acquainted with the representatives of leading Ukrainian and European companies. We are providing the chance to find your favorite job and to make the first step towards professional success! Everything is happening in the live mode: companies offer vacancies and internships, and students discuss job opportunities with the company’s representatives. the possibility to establish professional relations with representatives of other companies. the opportunity to communicate directly with the employer and to get a job or internship in Ukrainian or foreign companies. Fun and useful time spendig. BEST Lviv (Board of European Students) - an international non-profit, non-political organization founded in 1989 by students of technical faculties for the purpose of student development, self-development, provision of additional education and satisfaction of professional ambitions. BEST provides the exchange of knowledge and cooperation between students, companies and universities across Europe. BEST Lviv has been working on the basis of the National University "Lviv Polytechnic" for students during 15 years. BEST Training Week, BEST Speaking Club, TEDx Lviv Polytechnic, 5 lesson.